All right, I admit it. I milked it. 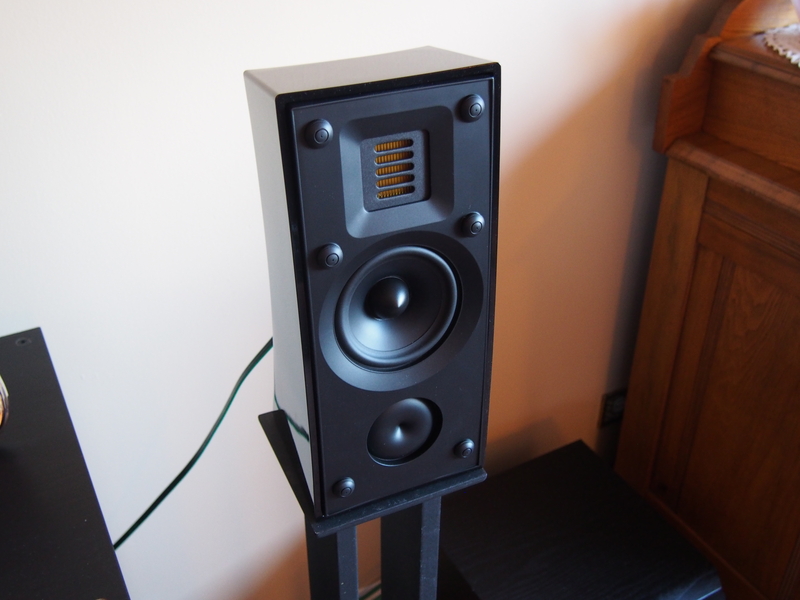 When I fired these speakers up and looked at the tag saying “90-day review,” I milked every bit of that 90 days. That’s how much I loved these MartinLogans. Now, I’ve blown it. I’m not supposed to reveal my feelings about the product in the first paragraph of the review. My job is to hook you in and to make you read to the end and give that to you in my witty conclusion, but these just tugged my emotions so much, I’m spilling it right away. These are damn fine speakers; even my wife agrees. I’ll start with the Motion 4i bookshelf speakers. The first thing I did was hook them up with an all tube system in our master bedroom. They took to the EL84’s like fish to water and were instantly warm and responsive, filling the rather large room with fantastic sound. They belie their somewhat diminutive size. For being such a relatively small speaker, they put out a tremendous soundstage, making more out of a pair 8-watt monoblocks than I was ready for. I was surprised when they arrived in cartons about the size of shoeboxes. 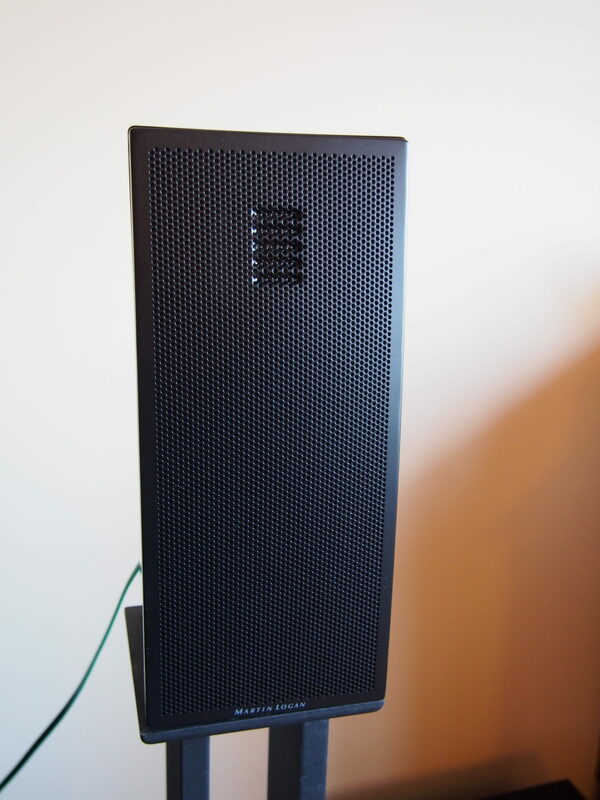 I unwrapped the sleek, black, curvy speakers and instantly thought to myself that these speakers had the “WAF” (wife acceptance factor) going for them. They would fit into any room and any décor. With grille on. Click on pic to enlarge. Over the following weeks, I immersed myself in these speakers, and what they would do with tubes. I put a variety of different music through them, from blues to rock, and the Folded Motion tweeters just sang out beautifully, but now the time has come to wrap this up and tell you what I think of them. Yes, I know I’ve let most of it slip already, but since you’re still reading, let’s get into this. I suppose most people would have thrown in some smooth jazz, but I felt the Motion 4i’s capable of so much more than simple parlor tricks. I went straight for Tedeschi Trucks latest release, “Signs,” just to hear what a huge band and Susan’s voice would be like through these speakers. I was absolutely right. The small bookshelf speakers sit on stands roughly 8’ apart on the long wall of our 21’ x 13’ master bedroom, with a tall cathedral ceiling. I have them crossed over at 80 Hz, running with my Mission subwoofer. They are effortlessly filling this room with incredible sound. I’m not pushing the Antique Sound Labs amps hard, yet I’m getting everything I could want. Derek’s guitar comes through with perfect clarity, the horns sound like they’re coming from the far corner of the room, the drums have fullness and roundness, and Susan’s voice sits perfectly in the middle of the mix. Switching over to something equally challenging, David Gilmour’s “Rattle That Lock,” instantly stirs my soul. The Motion 4i’s beautifully translate acoustic guitar into the room, while letting Gilmour’s climbing solo in “5 a.m.” breathe like there were no walls in this room. The title track comes in next, and here’s where the little MartinLogans get downright punchy and belie their size. I was skeptical when I was being sent a $500 speaker with an air motion transformer style tweeter; I’ve heard some similar ribbon tweeters that have sounded very harsh. However, these tweeters are so smooth and detailed that they feel like they’ve been stolen from a far more expensive speaker. 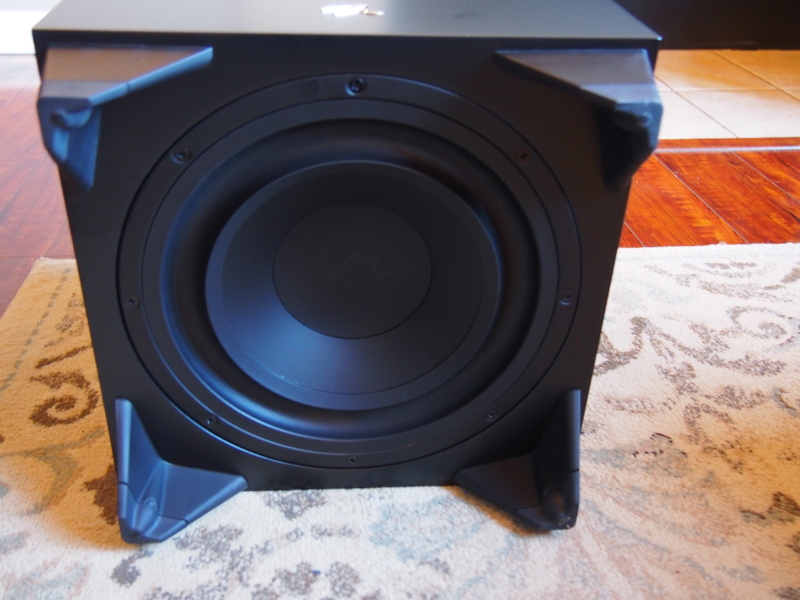 The 4” mid-woofer does a fantastic job at filling in the lows without sounding small or flimsy. It’s easy to compliment a speaker like this and say that it seems much more significant than it is, but this is almost an understatement with the Motion 4i. These will be hard speakers to live without once I box them up and send them back to MartinLogan. I’ve become attached. There are a few things that I just don’t quite understand in this world—the current political climate, boxed wines, the appeal of Kenny G., and bass heads. By the last thing, I’m talking about people who put four huge powered subs in their rooms. I see this on many of the forums and pages that I belong to, and it makes me wonder what their systems sound like. I imagine nothing above 80 cycles being discernable. For me, I’m in the constant struggle to find a single, superb, musical sub—one that will handle an SACD as well (or better) than it will manage an exploding planet on a movie soundtrack. Sealed subs like the Dynamo get a bum rap. People seem to think they can’t thump. I beg to differ. 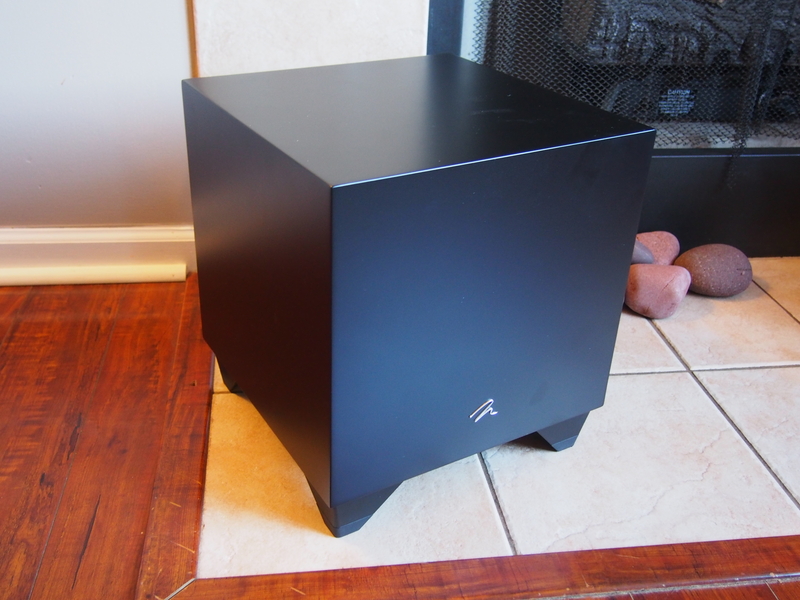 In fact, when MartinLogan asked me about a sub to evaluate, I asked for a sealed sub. I happen to love them. Moreover, subs with smaller drivers like an 8” or 10” (as featured in the Dynamo 800X) get less respect than they deserve. People seem to think a massive driver is needed to produce deep bass. I could have been kind to this gorgeous little subwoofer, paired it with the Motion 4i’s, played some Miles Davis, poured myself a tall stout, and taken a leisurely approach to the whole she-bang. However, that just didn’t sound like much fun to me. Instead, I threw it right into my multi-channel system to see how it would keep up with my Klipsch KLF-30’s. The Dynamo 800X took almost no time to dial in and sat perfectly in a multi-channel mix. To initially test it, I started with some 5.1-channel Elton John. Right away, the bass in “Madman Across the Water” was incredibly tight and very… well… musical. Exactly how it should be. I was getting itchy to lean into it as I tried my favorite Elton track, “All the Young Girls Love Alice.” This song has a thumping bass line that makes lesser subs sound chuffy. It’s absolutely impossible for me to listen to this song without turning it up. Sorry, MartinLogan, it got a bit loud in here. The 600-watt Dynamo 800X really came alive, handling the extra volume like a pro. It never sounded strained or otherwise like a small subwoofer. Instead, it rose up and downright impressed me. This is why I love a sealed sub! I could clearly hear every note of the bass line, even above all the swirling guitars and keyboards in the other five channels in the room. It was awe-inspiring. Why not have more fun, then? I went for the most challenging disc in my collection, the SACD release of the 1976 masterpiece, Genesis’ “A Trick of the Tail.” The first big bass hits in “Dance on a Volcano” went through the entire room, filling the space instantly with tremendous power, but again, staying miraculously musical. I know I’ve mentioned it a few times, but I absolutely have to stress that. The Dynamo 800X never sounded like a boomy subwoofer added to my system—just a natural extension of every driver at play. That’s the way it’s supposed to be. 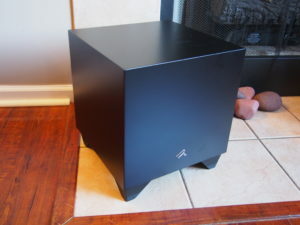 Jumping up two tracks to “Squonk,” I flexed the muscles of the MartinLogan sub. Honestly, bass heads, I can’t see why you’d ever need any more than this. Not only is it powerful, but it is also some of the most satisfying low-end you’re ever going get. Finishing with “Los Endos” tells me everything I need to know. I’ve had several subs in this system, and none have hit like the 800X, and yet, it stays really tight. It’s so amazing to hear that much power and low end with zero chuff from a port, boominess from a slot, or any of the other familiar trappings of the conventional subwoofer. By telling you what it sounds like, I’m merely scratching the surface. 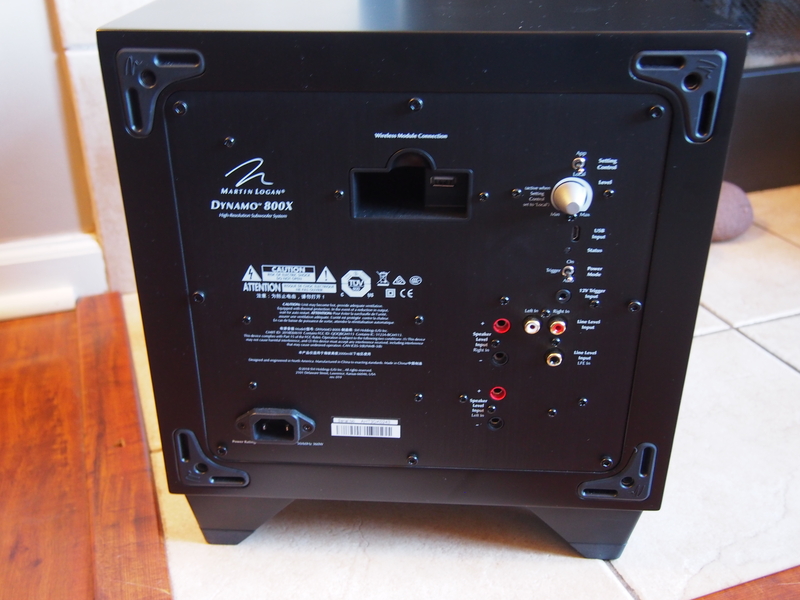 There is a bevy of unique features that I’m not mentioning, and you owe it to yourself to do more research on this subwoofer. I used this as a down-firing sub, but it comes fully equipped to run as a front-firing unit if you so choose. All controls can be wirelessly adjusted with a free iOs and Android app. A wireless module can be added to avoid long runs of wire. The power cable is detachable for those wishing to upgrade to an audiophile power cable. The list goes on and on. My excitement was in the sheer sonics of it, but there is much more to it than that. I was already a fan of MartinLogan products, loving their speakers such as the $80,000 Neolith, but wasn’t sure how much the quality trickled down into the lower-priced products. Consider me impressed. I have not seen many products in these price ranges that can compete, and certainly none that look as good. I’ve had products that were hard to send back at the end of an evaluation, but I might just find myself getting a bit emotional over these.